Magudeswarar alayam is a temple in Kodumudi, in the Erode district, of the Indian state of Tamil Nadu. It is a Hindu temple dedicated to Lord Shiva. This is the Sixth temple in Kongu, the region praised in the Thevaram hymns. it is situated on the banks of the river Kaveri. The sage Agastya is associated with this temple. The cave river is passing the front of the temple. The temple is about 40 km from Erode in Erode district. The Kodumudi Railway Station is located on the Karur-Erode Rail Line. The temple is located close to the railway station. The temple is located on the banks of the river Kaveri. Cauvery river ran northward to the south in this direction. Mahur or Mahurgad is a town and religious place in Nanded district of Maharashtra, India. 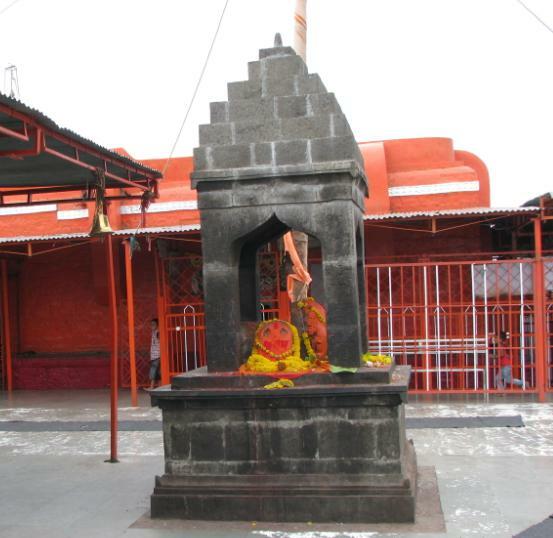 Mahur is the birthplace of Hindu God Dattatreya. Atri Rishi and Sati Anusaya Mata lived here. Brahmadev, Vishnudev and Lord Shiva once got a news about Anusaya Mata that there is no one more pious and pure as her. To test her piousness they arrived under the garb of asking Alm (bhiksha). When she brought it, they asked to serve them while being naked, she realized by her power that she is under a test. She made them a three headed child & fed them. This became Dattatreya, the unified God. There are three mountains in Mahur. The first one and most known is having Renuka Mata Temple, who is mother of the god Parshuram. Other two are called Datt Shikhar and Atri Anasuya Shikar Temple’s. Mahur has a sacred temple to Renuka Mata, which is considered one of the three and half Shakti Peethas (temples) in the state. A big fair is held here every year on the occasion of Vijayadashami. When Sahasrarjun attacked Renuka Devi, while somewhere in today’s Telangana, for he wanted to grab the Sacred Kamdhenu cow (This Sacred Cow has divine power to fulfill the wish). When Renuka Mata refused to him that saying asking gift of your own choice by the guest visitor is uncalled. He attacked her & injured her. She dies in this & when Lord Parshuram knew about it, he went berserk. Then the elderly people pacified him & asked him to do the last rites in Mahur under Dattatreya’s guidance. Then he was told by him that Renuka Mata will appear on first mountain for you to worship. This became the famous Renuka Mata temple. 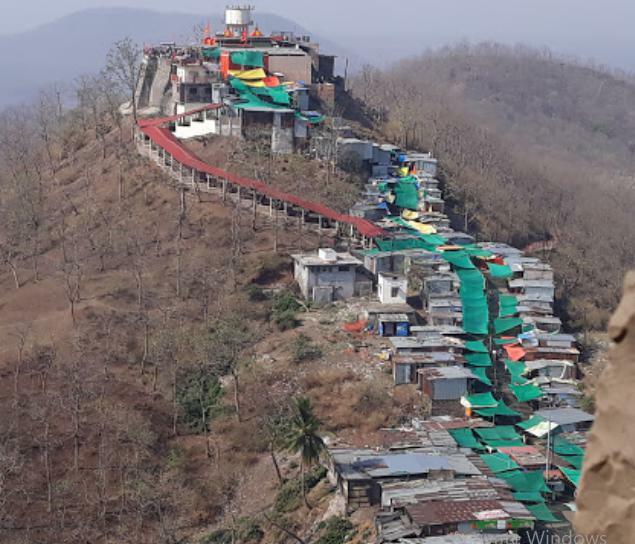 The “Matru Tirth” (means sacred place for Mother’s worship) Place on this Mountain is the one which is where today stands a lake, is “Antyeshti Sthan” (Means place where last rites were performed). There are many other temples in Mahur like Rishi Jamdagni Temple, Lord Parshuram Temple, Kalika Mata Temple, Devdevshwar Temple, and also the Caves called Pandav Leni. Raje Udajiram, a Deshastha Brahmin (Deshmukh) was the Deshmukh of Mahur.Later Pandita Sawitribai Deshmukh was the ruler of Mahur. RaiBagan (Royal Tigress) was an honorary name given by Aurangzeb to Sawitribai Deshmukh after the death of her husband. Sawitribai Deshmukh fought along the side of Aurangzeb against Shivaji. For Muslims it is famous for the Dargah of Baba SonaPir, who is also known as Mohar-e-Rasool (Stamp of Prophet). In every fifth of the month a Urs has been conducted in Dargaah. Many people come from different parts of country to celebrate this occasion. The temple is considered as a revered shrine for the Shaktism sect, because of the above told mythology and also because the Shrine is a Shakti Peetha. It is believed that Renuka Mata, (the wife of Sage Jamadagni) was decapitated by her own son Parashurama and her head fell here. Renuka was later given rebirth as a boon by Sage Jamadagni to his son Parashurama. 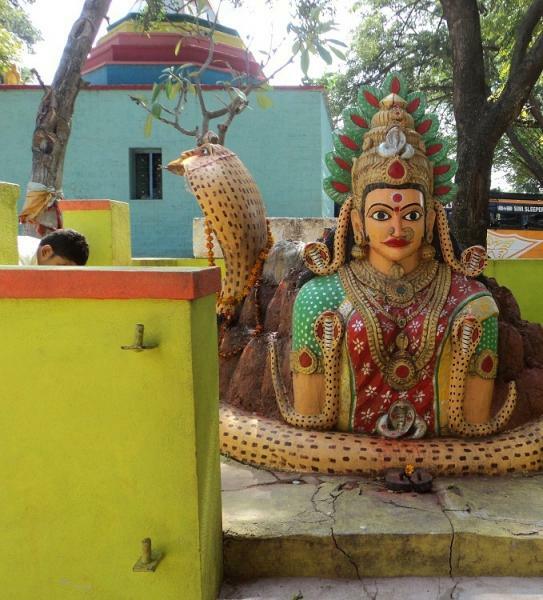 The temple is considered as a Shakti Peetha because of the mythology of Daksha yaga and Sati’s self immolation. Shakti Peethas are Durga or Adiparashakti shrines that are believes to have enshrined with the presence of Shakti due to the falling of body parts of the corpse of Sati Devi, when Lord Shiva carried it and wandered. There are 51 Shakti Peeth linking to the 51 alphabets in Sanskrit. 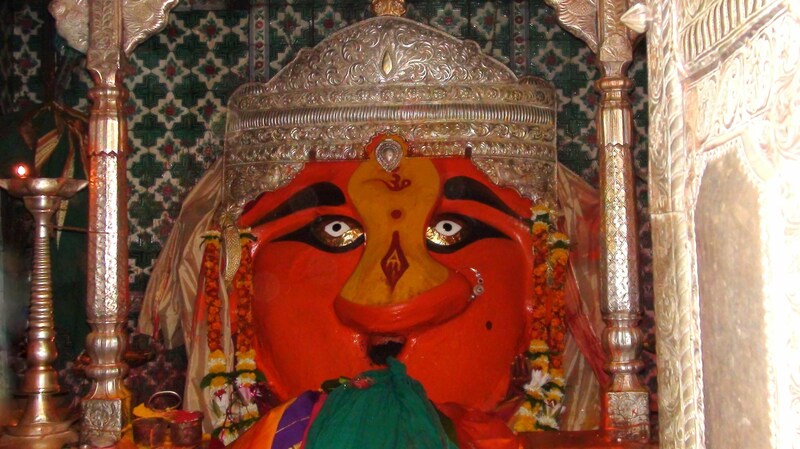 The Shakti of Mahur is addressed as Renuka Devi. 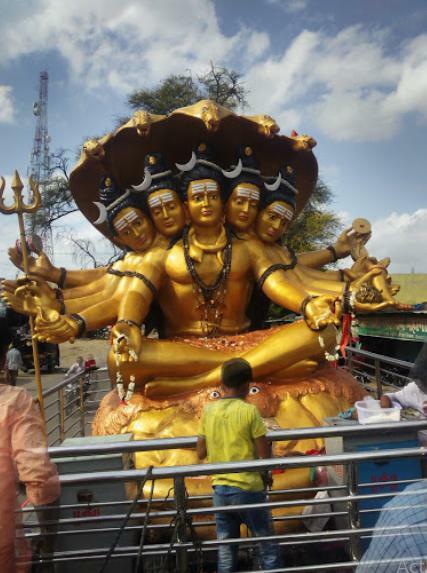 Most of the Shakti Peetha is associated with a Kalabhairava shrine. All three important temples — Renuka Mata Temple, Lord Dattatreya Temple and Anusaya Mata Temple — are built on three mountain ranges. Mahur is surrounded by jungles rich with trees and wild life. There is teakwood trees everywhere. Peafowl, deer, black bears, panthers are very common in the jungle. On one of the mountains is the ancient Mahurgad Fort constructed in the 12th century. Mahur was an important fort in ancient Berar history. It became a separate province in 1478 during the Bahmani Sultanate. It was one of the Sarkars (then district) with 20 parganas (towns) in Berar Subah (state) in Akbar’s rule. The main attractions in Mahur are Matapur Niwasini Shri Jagdamba Devi Temple or Renuka Devi Temple, Lord Dattatreya Temple, Anusaya Mata Temple, Devdeveshwar Temple, Lord Parshuram Temple, Sarvatirtha, Matru-Tirtha, Bhanutirth, Hati darvaza, Bal samudra, Pandav Leni, Mahurgad Fort, Mahakali Temple (In the fort), Mahur Museum, Sonapir Dargah, Shaikh Farid Water fall (Wazara), Palace of Raje Udaram. Raje Udaram Deshmukh and later his brave wife RaiBagan (Royal Tigress) were the rulers of Mahur. People who visit Mahur also visit Unkeshwar Hot Spring (90 km from Pusad; 50 km from Mahur; 15 km from Kinwat), which has natural sources of hot water. This sulphur-rich water is supposed to have medicinal value. The name Unkeshwar is because of Lord Unkeshwar (MAHADEV i.e. Shiva) temple and Aashram complex.